Fully embedded with beautiful shinning crystals, this bejeweled feng shui pig is the symbol of prosperity and wealth. Displaying it at your wealth corner to bring money luck. In addition, pig statue is good for people who is born in the year of the pig. 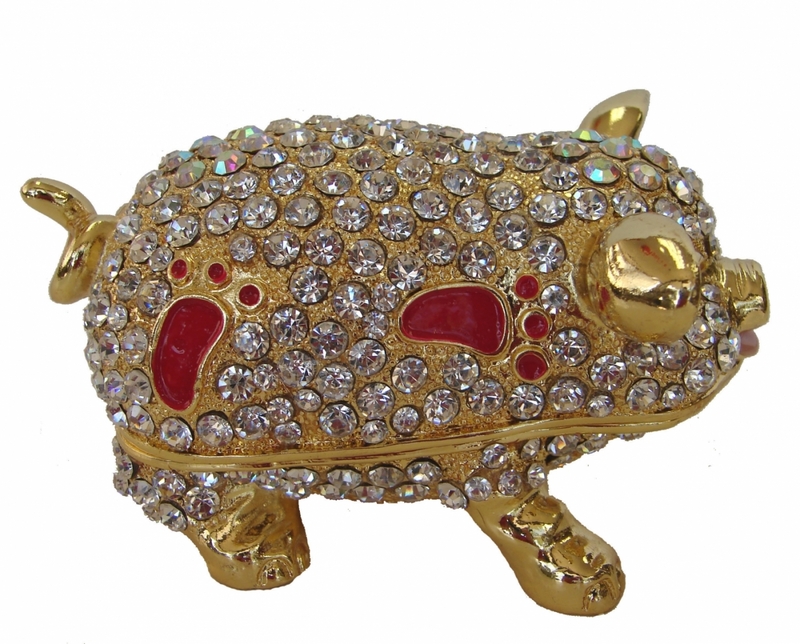 Furthermore, pig figurine is also suit for who are harmony with pig, such as zodiac rabbit and zodiac sheep. 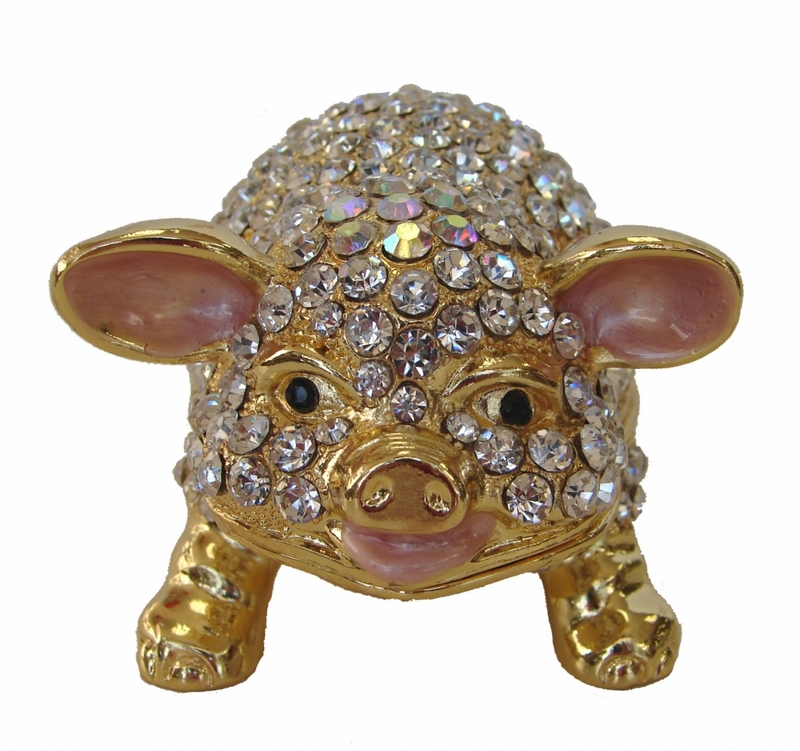 The dimension of this bejeweled pig statue is approx. 4" in length, 2.5" in width and 2 1/4" in height. Net weight is approx. 1 lb and it is made of alloy. This bejeweled item can be opened for storing some small things inside, such as coins or wishing paper.